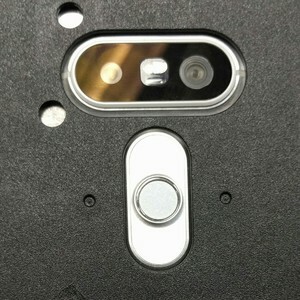 LG's upcoming G5 flagship smartphone, which has been the subject of some rumors and leaks until now, will come with a dual camera set-up (16MP + 8MP) at the back. This was revealed in a new leak, which came courtesy of a Reddit user who also shared the following image that apparently shows the device's body partially obscured by a black box. A number of other specs were also revealed, including 5.3-inch Quad HD display, SD820 SoC with 3GB RAM, 8MP front camera, as well as a SIM and microSD slot. In addition, the leakster said that the device will also have a color spectrum and a heart rate sensor fitted in the camera assembly, as well as a fingerprint sensor embedded in the power button. Other features that were revealed include a USB-C port, bottom firing speaker, as well as IR blaster on top. There was no word on the launch time frame though - recent reports have suggested that will happen in February. LG G5 need contained and new screen how promise! I think new better screen have to be mix "IPS-Neo with Quantum Dot"